I love all the new papers in the Close To My Heart Seasonal Idea Book that runs from Jan. 1 through April 30th. 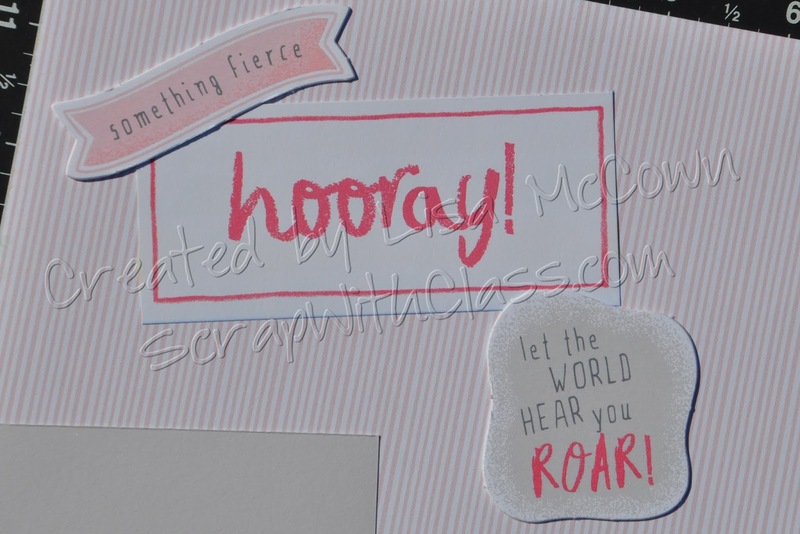 I create a page class for each of the paper suites in the catalog, and this time I started with the "Something Fierce" kit. 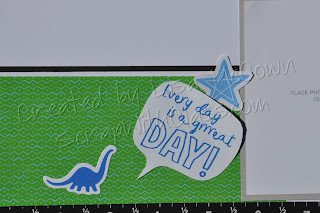 Using the Workshop Your Way kit and a few extra sheets of cardstock (5 white and 1 black), I have created 2 layouts of non-dino pages. This layout was inspired by fellow consultant Gay Fitzallen and she put her travel photos on them. I just loved the look of the white/black/white photo matting. I also love to gets lots of pictures on each page and this qualifies. And I just couldn't do this page without any dinosaurs, so I snuck one in at the bottom!! The second page layout I created for class was inspired by a layout from CTMH. I love the look of the pink stripe mixed with the blue ombre paper. 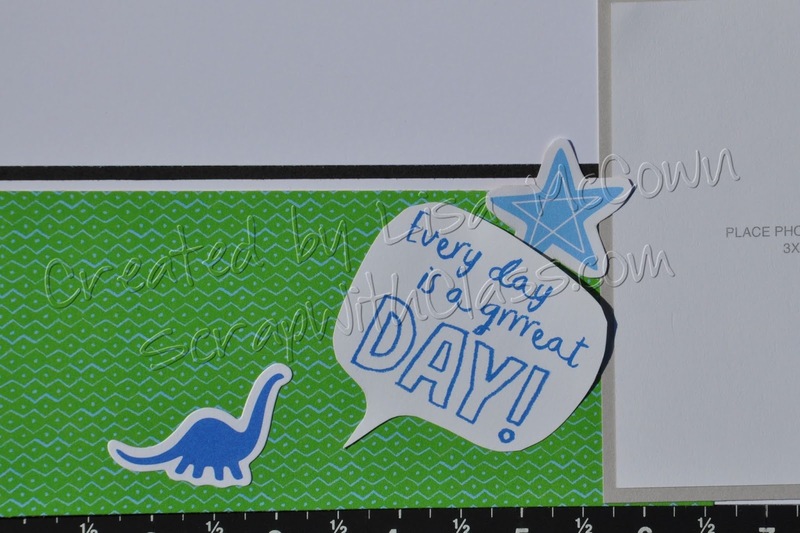 This layout can easily be made into a dinosaur page by just flipping over all the patterned paper! I made this page to celebrate my achievement - conquering my fear of heights to climb a mountain! I did it! I'll have to share this page later with my pictures on it. Layering the embellishments makes a great title. If you are interested in doing these pages, I provide the complete cutting and assembly guide for free when you order the kit from my website. If you are a fellow CTMH consultant, you may purchase the entire instructional guide for just $6. Click here to order one of my page classes. And include a note about which page class you would like. My team members get all my paper guides for free. Join my team in February and get 5 free stamp sets. And if you are a returning consultant, February has a special offer for you - join with the no kit option. The cost is $50 and you get $50 in CTMH cash AND the 5 free stamp sets!! Contact me to join my Scrap With Class team!